This week - Cambridge's key role in the mission to map the milky way! We learn how the Gaia space telescope is pinpointing the positions of a billion stars in our galaxy. Plus, news of a net which will leave mozzies dead or infertile, the DNA double-double helix discovery, and can the moon cause earthquakes? 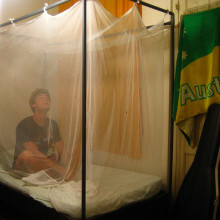 New chemicals on bed nets could beat resistance in malaria carrying mosquitoes. Mark - we're looking at alternative insecticides to put on their nets. In fact, we want to take new insecticides and combine them with the old insecticides so we have a double strategy for controlling the mosquitos. Kat - Kind of a double whammy? Mark - A double whammy - yes that's the expression I was going to use. Because not all mosquitoes are resistant to pyrethroids but those that survive need to be dealt with in some way. So we're combining the standard insecticide with a new insecticide which, actually, doesn't kill them, it sterilizes them. It stops them from producing eggs that are fertile so the female, even if she succeeds in taking a blood meal, is unable to produce eggs from that blood meal and, therefore, there will be no second generation of mosquitoes. Kat - You've got the insecticides on the nets that kills them dead if they're sensitive to it and then you've got the insecticide that sterilizes them anyway - how effective are these nets when you test them? Mark - The way we're testing them is under household conditions in the field. We have these so-called experimental huts where we have volunteers sleeping under the nets. These huts are in in West Africa, in rice irrigation zones where there's lots of mosquito breeding and these mosquitos will enter these huts, as they would a normal house, and will attempt to feed on the people under the nets. Kat - Oh God! Poor them! Mark - There's a trapping system which allows the mosquitoes to come into the huts but we capture them on the way out so we can see if they succeed in feeding, and we can test them to see whether they're capable of laying eggs. And what we find is that after contacting this net with this new chemical on, the mosquitoes that survive the pyrethroid because they're highly resistant to pyrethroid, they're actually sterilised by the new chemical and, therefore, they will not produce a new generation of mosquitoes. So, over the course of time, the mosquito population in the area will decline and with no mosquitoes there's no transmission of malaria. Kat - Many people are concerned about insecticides in the environment - how do we know that these new nets will be safe? Mark - This insecticide is very safe; we're using very, very small quantities on the net. 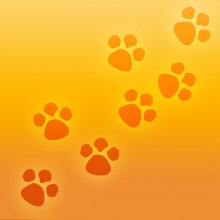 It's very potent but it's toxicity to mammals and humans is very low. It acts on the developing eggs in the mosquito and the structure of these eggs is very different from a mammalian system so this chemical is toxic to insects, but it's really not toxic to humans at all. Kat - Is there a chance that mosquitoes could become resistant to this new insecticide as well? Mark - Never say never when it comes to resistance and evolution. It's possible over the course of time the mosquitoes will develop resistance to this new chemical. Resistance to pyrethroids, the previous chemical that was used on nets, took about ten years to develop and it's been a further ten years for those mosquitoes to be prevalent in sufficient numbers to constitute a problem. So we're looking at, probably, at least ten years before there's significant resistance which undermine the effectiveness of the nets. Could DNA quadruple helices be causing abnormal cell growth in cancer? Shankar - Everyone knows about the double helix that Watson and Crick discovered in Cambridge in 1953 and it arises because there are two strands of DNA with four letters that communicate with each other in a particular way - Gs and Cs and Ts and As. Chris - It looks like a twisted up ladder effectively, doesn't it? Shankar - It is, it's like a helical staircase. Now what we've been studying in my lab is a quadruple helix; you can think of it almost as a ladder with four strands instead of two. Chris - I'm just trying to picture that. Shankar - Well, the structure in itself - if you can imagine a cube where you twist the upper part and the lower part in opposite directions - that's what it looks like. It's rather like a knot, it's not a continuous structure, it's like a knotted folded structure. And for many years, we've known in a test tube that if you have a bit of DNA that's rich in one of the letters (the G letter), that these types of structures can form spontaneously. What we've been interested in is, are these structures for real: do they occur in cells, in biology, in nature and, if so, why and what are they doing? Shankar - So the way we've gone about it; we've synthesised organic molecules that recognise this structure, so these act as probes that can seek out these structures and light them up. We did an experiment that we published in 2013, which happened to be the 60th anniversary of the double helix discovery, in which we had human cells; we used these probes and you could see little spots lighting up in the nucleus and these spots are where these structures were forming. Chris - But that doesn't tell us whether or not they're just an artifact, whether they're there for real or whether they really do anything to the cell, does it? Shankar - So in order to start looking at whether there's anything functional going on there are two approaches we've used. One is to actually seek out where these things are forming and also when and that's what this latest paper has been exploring. We've used the same probes to locate exactly where these structures form. The way we do that is we use a probe to bind to where these structures form and then we use a method of decoding that DNA, sequencing it, to find out exactly where in the genome these things form. We have done that and firstly we found that they form in parts of the genome that control whether genes are switched on or switched off. And they're very important because depending on whether genes are switched on or switched off in a particular pattern, the cell adopts a certain state and different cells in different parts of the body have a different pattern of genes being switched on and switched off. Chris - Is this cause or effect as in, could something be changing in the DNA that it then makes one of these structures appear and that's just like a flag that the DNAs been changed or that the proteins around the DNA have been changed here, or does putting one of those structures into the DNA make the DNA change it's behaviour? Shankar - It's a great question and a very difficult type of question to address experimentally. The closest we've come to that is we've shown that if you have one of our synthetic small molecules that bind to these structures, what they also do is they give them a longer lifetime than normal. What we've shown, at least for a small number of cases, is that we can alter the pattern of genes being switched on or switched off by adding these molecules. So that would suggest that they actually have the potential to cause certain mechanistic effects in the cell. Chris - And if they do that, flicking that equation on it's head, could I take a cell that has something wrong with it and change that pattern of structures and correct the problem with the cell for instance, if a cell has become cancerous? Shankar - It's a very intriguing suggestion and we're exploring that in more detail, particularly in the area of cancer. And it's interesting in the area of cancer because this phenomenon that we've seen seems to occur more often in cancer related genes than non-cancer related genes. So we have a working hypothesis that the majority of these processes are linked to cancer genes and if we can manipulate them in the way you've described, there maybe within there some strategy that could be leveraged for good, for therapeutics. 11:41 - Is mental illness a chemical imbalance? Kat busts the myth that mental illness is due to a chemical imbalance. Kat - Mental health problems are widespread in society, with around one in four people experiencing some kind of mental health problem, according to the charity MIND. These include depression, anxiety, post-traumatic stress disorder, eating disorders and more. Then there are other conditions such as schizophrenia and bipolar disorder. But even more widespread than the incidence of mental health problems is the belief that mental illness is caused by an imbalance of chemicals in the brain, with an Australian survey finding that a staggering 86 per cent of adults believe this is the cause. What's more, pharmaceutical companies that develop and sell treatments for conditions such as anxiety and depression have referred to the idea of 'chemical imbalance' in their marketing materials. But although it's a neat explanation for how things go wrong in the brain in mental illness - it's not really correct. So where did the idea come from? It seems to date back to the 1950s, when some of the first drugs for mental illness came on the market. They had impressive effects on people's symptoms, and seemed to be boosting the levels of certain chemicals in the brain known as neurotransmitters. These are molecules that shuttle between nerve cells in the brain, sending messages and passing on signals. So the natural assumption was that if ramping up the levels of neurotransmitters fixed the problem, then the problem must be caused by having the wrong level to start with. Unfortunately this isn't borne out in reality. For example, it's commonly believed that people with depression suffer from low levels of the so called 'happy' neurotransmitter serotonin. But research has discovered they're not particularly lacking in it. And two different drugs - one of which boosts serotonin, the other reduces it - can have similar effects on mental health symptoms. So clearly it's not that simple. It's tempting to try and pin everything on our biology, but it ignores the fact that the environment plays a big role, and people can take steps towards recovery. On the flip side, a recent German study suggested that people who believe in the chemical imbalance theory tend to have more negative reactions to people with depression than people who don't. Another test with people who had experienced depression showed that if they were given a spoof lab test suggesting that their serotonin was out of whack, they were more pessimistic about their chances of recovery and less confident of their ability to manage their depression. They were also more likely to shun psychotherapy in favour of taking prescription drugs. So what do we know? 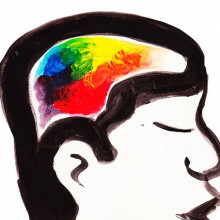 Our brains aren't a set of chemical balancing scales, and life's just not that simple. Clearly, much more work does need to be done into understanding the causes of mental illness and how best to treat them, while avoiding stigmatising sufferers. And for the one in four of us that suffers from mental health problems, that can't come soon enough. If you agree to donate your organs does that definitely mean they'll be used? Alison - Half a million people die in the UK every year but only one per cent of them die in a way that's suitable for them to become organ donors. Graihagh - When you say suitable - what do you mean? Alison - Well to donate your organs you would need to die in an intensive care unit on a ventilator having had either brain stem tests where a patient has sustained a serious head injury and they have no brain function and no brain activity, or there is a plan to withdraw treatment because treatment is futile and it's expected that you would die quite rapidly after treatment is withdrawn. Graihagh - Does that explain why the waiting list is so long in part? Alison - The waiting list remains very long because more people are now put on the waiting list, patients are now surviving longer. Certainly we have improved our donor numbers - it's gone up by 50 per cent in the last five years but we still have not improved our consent rates - so still forty per cent of families saying no to donation. Graihagh - Why is that? Alison - It's for a number of reasons. In cases where families know what their relative wanted ninety per cent of them say yes but in cases where families don't know, fifty per cent of them say yes which just shows if you haven't had that conversation and made your wishes known, families feel reluctant to consent on your behalf. Graihagh - Can you tell me what would happen in an ideal situation then, from start to finish, and where you would hand over to a surgeon? 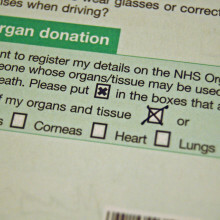 Alison - When we are notified we would look at the organ donor register to see if that person had expressed a wish. Along with intensive care or A&E staff we would approach the family to sensitively discuss organ donation with them. If they give consent for organ donation, we process that organ donor. So we would gather as much information as we could about their medical history, their current medical condition to be able to hand that over to recipient centres so organs can be allocated, recipients can be found for those organs. Chris - There are lots of reasons why an organ may not be suitable. There may be concerns about the way the donor died, a disease the donor had. So, for example, if they had a cancer there's a potential that might be transmitted - things like that. Graihagh - That's Chris Watson. Professor of Transplantation here in Cambridge. Chris - One area that has been a problem ever since transplantation started is the damage an organ undergoes in that period when you remove it from the donor to reimplanting it in the recipient, that ischemic time, that time when there's no oxygenated blood going to the organ. And historically, in the donor, when the circulation stops we flushed it with a cold solution to optimise the storage of the organ but that doesn't do a perfect job and so the organ always suffers during that storage period and then, when we come to transplant it, it may or may not work straight away. For kidneys, if they don't work straight away that's' fine - we can support the patient with dialysis until it kicks into action. If a liver doesn't work straight away, it's a different kettle of fish. You can't live without a functioning liver and we can't support the liver in any sensible way for any length of time so you need an urgent re-transplant. Typically, patients listed for an urgent re-transplant wouldn't expect to live more than two or three days so you would have to have a compatible liver, in a suitable size and quality within a very narrow time period to rescue someone if you've given them a liver that's not tolerated that preservation time for whatever reason. So we look to try and improve the preservation of a liver at the moment by putting it on a machine to see if we can arrest the cold ischemic time, arrest that period of cold storage, but at the same time test the liver to see if it's going to work when we transplant it. And that's the challenge. We want to be able to say at the end of a period on the machine, this liver's going to work well and we can transplant it safely into a recipient. Graihagh - How are you going about doing that? Chris - So the liver comes out of patient, it's cooled down in a typical way, it's brought to Addenbrooke's and then we will prepare it for transplantation but the patient's not ready yet and we haven't decided to use it yet. We'll then connect the liver up to a machine by putting pipes in the artery and the portal vein, which is the two ways blood gets to the liver, and then collect the blood that drains out of the liver, recirculate it through a device that oxygenates the blood and pumps it round at different rates into the artery and vein, and then we can measure at intervals what's going on. So, for example, you'll know from running that you're not breathing as much oxygen in as you need so lactic acid accumulates, so you start getting cramps. With the liver being ischemic lactic acid accumulates and by putting oxygen through it we can see how quickly the liver metabolises that lactate and gets rid of it and that's a marker of the liver working. Graihagh - And this is entirely novel - no-one's being doing this before? Chris - The first cases doing this were the end of 2014 and, I would guess, there's probably been about two hundred patients have had livers preserved this way; some of them here and some of the elsewhere in the UK. Graihagh - That sounds pretty impressive - two hundred livers saved and, I guess, two hundred lives saved as a result? Chris - Yes it did. When it works well it's really good. Graihagh - I think you're being modest! Chris - On the background of this we have a programme of research using livers that have been declined by all the centres and then we do lots of other experiments with the liver. And, actually, four of the livers that we have that have been declined by all the other centres, when we put it on the machine it's been immediately clear that the liver's actually very good and should be transplanted and we've gone on to transplant them. So, yeah, we have used livers that actually were just consigned for research and not transplantation. So that is very gratifying when we can do that. Graihagh - So it really is a case of every little helps in this instance? Chris - Yes, the one thing a patient would really regret is never getting the call. And one of the patients actually said this to me that his greatest fear was not actually been called in for a transplant. It wasn't that it would go wrong or anything, it was actually never having the opportunity. For liver transplantation around about ten percent, so one in ten patients, will die while they're waiting and another seven or eight percent will be removed from the waiting list because they're unfit or for some other reason that they're no longer appropriate to have a transplant. 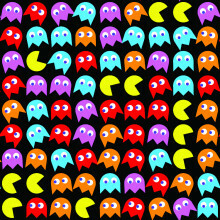 New research from The University of Sheffield shows how we all have our own biological Pacmen. Chris - I suppose this is relevant because, if we look at the way that the body develops there are some bits of it which, when we're a foetus, will form and then you selectively kill off bits. I'm thinking, for instance, our hand start like fins and then you break down the bits between our fingers so are you saying that by studying how a breast does it because you can study cycles of it going on and on, you can understand or get insights into processes like that? Nasreen - You can get insights into the majority of other organs and how they develop and how they regress and shrink. Chris - And I suppose that has implications also for when cells don't die and get eaten up properly in disease states like cancers? Nasreen - Yes, absolutely. Or there are other diseases which are associated with inflammation. Chris - How did you study the breast then - what were you doing? Nasreen - We decided to generate a mouse model where we were able to delete this protein called Rac-1 within the breast and then we just looked to see what happens to the breast. Chris - And what does happen? Chris - The thought of what's going on here makes my mind boggle. So basically, we have this gene that you've stumbled upon, which has this ability to enable the tissue to remodel itself, and cells that are done with to disappear afterwards and it does that by encouraging other cells to eat the dead or no longer needed cells? Nasreen - Yes. So these are cells that are professional milk makers; you know they have a secretory function. So some of them start dying and what it does is that it gets the live neighbours to very quickly eat up and swallow the dying neighbours and it gets the live cells to swallow all the milk that they've made, so they basically just produce the milk and then swallow the whole thing back up again. Chris - And now you have these insights, what does it tell you about what this gene might do and it's implications for functions elsewhere in the body and possible diseases that it could be linked to? Nasreen - So annually, we shed cells equivalent to our own body weight so that's a lot of cells and, of course, the body has to clear them up. Now what is known is there's a specialised cell from the immune system, which is called a phagocyte; it's the role of these phagocytes to clear up dead cells, bacteria, or anything the body doesn't need but the problem is that this can cause inflammation - it's like a double-edged sword. And so there's compelling evidence that inflammation is linked to cancer development and various other diseases. If you think about it, we would be continuously inflamed if all of the cells in our body were being removed by the immune system. Chris - I get it. So what you're saying is that we are shedding our own body weights worth of cells every year but if we were to shed that number of cells and rely on the immune system to get rid of them, we would have serious health problems? Nasreen - Yes we would. Chris - But you don't see serious health problems so something else is stepping in? Nasreen - I think you put it so much better than I did, yes. Chris - And that's where Rac-1 possibly, or these sorts of processes come in. It's encouraging other cells to eat these dead cells and not the immune system? Nasreen - Yes, yes. It's basically hijacking the role of the immune system and it's converting the profession of the epithelial cells, which make up the majority of our internal organs, and it's causing them to become phagocyte like. Chris - So what are the overall implications then - what do you think now, based on what you've found, what can we apply this to or how can we use this knowledge? Nasreen - Well, there's compelling evidence that inflammation, so the body's immune system, is linked to the development of cancer and, of course, if healthy breast epithelial could be stimulated to remove damaged cells or dying tumour cells. It would keep the inflammatory phagocytes at bay and so there's certainly a treatment aspect in that respect. 27:23 - Are earthquakes tidal? Could the phases of the moon affect earthquakes? Alex - An earthquake occurs because as Earth's tectonic plates move relative to each other, the forces gradually build up on the surfaces that cut through the crust that we call 'active faults.' When these forces get big enough, then the rocks break and move in an earthquake. These sort of stresses build up over an awfully long time, sort of millions and thousands of years. There are another kind of stresses which affect the earth, which are the stresses due to the gravitational pull of the sun and the moon acting on the Earth. This is both acting on the rocks themselves and also making the oceans move around and the ocean tides, which pushes against the continents and changes the stress in the rocks. These stresses are very small compared to those in relation to the motions of the tectonic plates but they fluctuate very rapidly, sort of multiple times a day. So the idea that people have had for a long time is that you're more likely to have an earthquake when these tidal stresses are promoting slip on a fault rather than when they're inhibiting it. Laura - It sounds like scientists have been speculating about this for a little while but there's now been a study published this week which looks a bit more closely at this link. Can you tell us what they found in that work? Alex - So this recent paper, what they did was they looked at some very large earthquakes that happened recently and they saw that these happened at the times when these tidal stresses were sort of promoting motion on the fault. However, when they looked at all the earthquakes, not just these big ones, they found no relationship. So there are two ways you could interpret this result: one is that when the tidal stresses are in the correct orientation, you're more likely to turn a small earthquake into a big earthquake, or the other way you could interpret this is to say that because they're only looking at a small number of big earthquakes, that you just don't have enough for the patterns to be representative. And the jury is still out as to which of these two options is the correct one. Laura - And earthquakes of this scale are quite rare, aren't; they - how often do they occur? Alex - So the three main earthquakes that they looked at in this paper were high in the magnitude eight and in the magnitude nines, and these happen very rarely. So we've had three in the last twelve years but that's unusual. The most recent ones before this recent phase were in the 1950s and 1960s. So this is the problem that because you don't have many earthquakes of this size, because they don't come along very often, we've just not seen very many of them since we've had the instruments available to monitor them. Laura - OK. And by understanding this link a bit better, will it help us to predict earthquakes do you think? Alex - Earthquake prediction is a slightly sticky subject. So we're very good at working out where earthquakes will happen and how big they will be, but we're not very good at all at working out when they will happen. In terms of trying to sort of reduce earthquake hazard this isn't a problem because if we can work out where the earthquakes will be and how big they will be, then that's all you need to be do to be able to build the buildings that won't fall down and kill people. What is the Gaia mission and how did it come about in the first place? Gaia's five year mission is to map out the millions of stars in our Milky Way galaxy and it's being heralded as a revolution in astronomy, but why? Cambridge scientist Gerry Gilmore first pitched this idea to the European Space Agency, and he's been shepherding the project along over its lifetime. Gerry - OK. 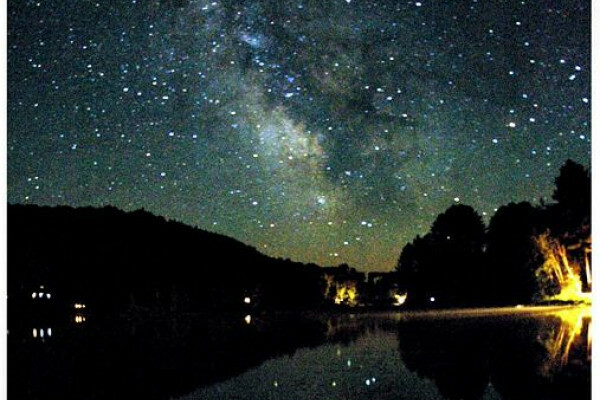 The Milky Way is the name of the band of stars one sees across the sky on a dark night. It's a rather narrow band; it's very long and rather thin and this is the fundamental information about the structure of the Milky Way, the galaxy in which we live. It's flatish, but we know from looking at other spiral galaxies that it is a spiral so it has a big bar in the middle and maybe two, maybe three, maybe four spiral arms coming off from that. And there's a huge supermassive black hole at the very centre and a very large number of stars are densely packed around that supermassive black hole. Chris - So the central black hole provides a source of gravitational attraction that holds our galaxy and those stars together? Gerry - No, no. Not at all. No, the massive black hole is pretty massive but, actually, compared to the hole of the Milky Way it's an insignificant little thing. So the Milky Way is made up of maybe a hundred billion stars like our own Sun and they make up most of the mass in the disc of the Milky Way itself, in the actual plane. But the galaxy itself is maybe a hundred times more massive than that again and that is made up of the famous dark matter. So it's that mass that's distributed through the Milky Way that holds it all together and that, of course, was one of the reasons for Gaia is to try and weigh that mass and find out where it is and, hopefully, determine where it's come from. Chris - I was just going to say, if you know all this about the Milky Way already, what are you seeking to learn from this Gaia mission? Gerry - Well what I told you was a bit top level maybe, a bit vague; we'd like to put some numbers on things and be a bit more specific. 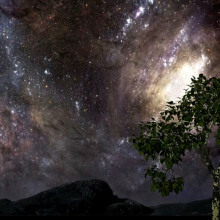 We know that from studies from many, many wavelengths, many telescopes that Milky Way, and so far as we know what it is, is probably just a dead average galaxy just like one of the one hundred billion other Milky Way-like galaxies in the whole universe. And so the real bottom line ambition for the Gaia mission was to set our own galaxy up as a rosetta stone. Let's do something that we actually know in detail, we can put real hard numbers on it, we can really work it out. Everything that we can measure about it and then we can do differential tests for everything else across the history of the universe and watch where these things came from and even where they're going to turn into. Chris - And what exactly are you measuring? Gerry - The key parameter for Gaia is where the stars are. You'd think the history of astronomy - people have been trying to measure where the stars are since the Mesopotamians. Actually, astronomers are not very good at this sort of thing and so, in the whole history of science up until last weekend, we had reasonably accurate measurements of the positions and distances from us of about maybe a hundred thousand stars and how those stars were moving. Now out of a hundred billion that's pretty pitiful really and they're all very local. The reason for that is that space is big so it's really hard to measure the distances of stars. You need exquisite precision which Gaia provides. So Gaia is the first ever exquisite measuring system which is designed to measure not only where stars are. A large sample one per cent of them all - a billion or so but, also, how those stars are moving. So we get three dimensions in space of where the stars are and then three little speeds for how they're moving in each of those three directions. Chris - Why does that matter knowing how they move? Gerry - The key information from motions is, in fact, being able to weigh things, if you know where something is and how fast it's moving, you know how much force, how much weight there is holding it where it is. If it's moving fast you need more weight than if it's moving slowly. And so that simple measurement (it's not simple at all); in principle straightforward measurement, if you can do it with enough stars in enough different places will tell us how the dark matter is distributed and, hopefully, give us the first clues as to what the stuff actually is. But there's another even more fundamental thing about the way stars are moving, is that many stars are relatively and from where they're moving now we can track them back in time. If we can measure it accurately and find out where they came from. You can't do that for very far back just because of chaotic things and spiral arms sloshing us about and so on. But one of the really interesting questions we'd like to know is where are all the Sun's brothers and sisters? The average star, like the Sun, forms in groups of tens of thousands of other stars so, somewhere, there's ten thousand siblings. Do they have earth's? It would be kind of nice to know. Chris - And you can find that? Gerry - We can get towards finding that, yes. Whether we can actually answer all these questions, we won't know until we get the data but that's the sort of question that people are trying to ask. So, for example, about four hours after we published the data on Wednesday, the first science result came out from the United States team studying planets in which the used Gaia data to very substantially improve our knowledge of all the planets that have been found up till now. They did this by using Gaia data to know the distances and, therefore the true brightnesses of these stars and from that you can calculate the radius of the star. And then when a planet goes across the front of the star, if you know the size of the star and how long the planet is in front of it, you can calculate the size of the planet. And, therefore, the density of the planet work out is it rocky, is it gaseous, what is it, has it got an atmosphere? So that really fundamental result was improved by an accuracy of five time improvement on Wednesday afternoon. And that's just one of thousands of things that will come out of Gaia. Chris - Now some people are also saying that this offers us an opportunity to do things like test Einstein because we can look at general relativity, for example and we can also look at how the galaxy is changing, how it's evolving, how it's growing or what it's past was because we can look back in time by looking across the galaxy and how things are moving. Gerry - Yes, the range of science goals for Gaia is enormous; it goes everything from studying the structure of the very early universe, right through to fundamental physics down to finding out whether there are potential killer asteroids lurking up in the afternoon sun. And through that range, pretty well the whole of basic astrophysics will be fundamentally rewritten and produce a lot more significant numbers with Gaia. Chris - How does the data get from the spacecraft back to the Earth? Gerry - Well the spacecraft is a really simple thing - that's why it's so accurate. It's a billion pixel camera and so it's basically sending down a high definition movie continuously down to the ground, and those images are what we turn into the positions and brightnesses of the stars. And because the camera keeps observing all the time we can not only see where things are moving slowly, but also we can find things that weren't there yesterday. Part 1 of George Seabroke's poem Gaia. ESA hoovers up your light. The mission is to measure distance. Get a grasp on your existence. Gaia may not see you twinkle. But kens if you're multiple or single. What are the instruments on board Gaia and how do they work? Ralph - I'm Dr Ralph Cordey and I'm head of science here at AirBus Defence and Space at Stevenage. Georgia - So we're sitting here in your office looking at a frisbee. 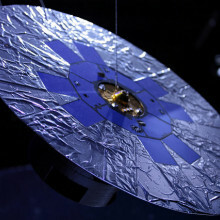 So this is Gaia, this is the spacecraft that's out there gathering data at the moment. It's about the size of a frisbee and a small very thin circle with a kind of upside down cup stuck in the middle and it says here this is about one to fifty scale, so the real thing is fifty times bigger? Ralph - Yes, the real thing is about four metres across; it's a big disc and that disc has a particular purpose. It basically sits on the backside of the spacecraft, pointing towards the Earth to protect the spacecraft from the heat of the Sun. It's about stability; all of this mission is about stability and protecting it in a really stable thermal environment is one of the key aspects of this. Georgia - So what kind of tech is on board, I suppose? Ralph - Basically, Gaia is a telescope. Or really it's two telescopes looking in two directions at once and not just measuring the directions to stars that it sees but looking at the relative directions between different patches of the sky. Now, Gaia rotates about once every six hours, sweeping out a path with its telescopes across the sky and measuring, as it does so, the positions of stars and over its five year operational lifetime it's going to be measuring each star about seventy times. That allows it build up an intricate web of positions and, as a result of that, it can ultimately measure the position of a star to the equivalent accuracy of measuring the thickness of a human hair at a distance of about one thousand kilometers. It is absolutely phenomenal the accuracy that it can measure to. It's actually so sensitive that it's picking up the distortions in the direction of light caused by general relativity in the solar system. So it's distortions to space and time it's actually responding to as well. Georgia - So how on earth is it getting an image this clear - what did you say, a human hair thousands of kilometers away? Ralph - It's doing it by first of all having quite large telescopes but, importantly, it's about its stability. It's thermally stable so that it's not expanding or contracting so that we can control the telescope very accurately like that, but it's also pointing very accurately as it spins. In its environment it has to put up with micrometeoroids, flecks of dust and things which will impact it at high velocity and actually change its rotation rate. It's got to be able to deal with those and maintain its rotation and keep on going. Now to do that it's not using rockets or anything like that; it's using little jets of cold gas, of nitrogen, little puffs. The spacecraft itself weighs a couple of tons so little puffs of nitrogen are an incredibly fine way of tuning the rotations rate of this spacecraft. So that, combined with its stability, gives you this incredible accuracy that builds up over that five year mission. 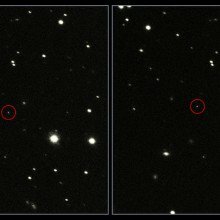 Georgia - How can Gaia tell how far away a star is? Ralph - The basic technique is one called parallax. Now parallax is about the difference in direction that a star appears to be from different positions you observe it in. Now you can measure parallax just by standing in different positions one side of a city to another, but that won't be very good if your star is many, many light years away, or from side of the Earth to the other, or as we're doing it with Gaia. Gaia is following the Earth around its orbit so, actually, it's looking at these stars from one side of Earth's orbit to the other side of Earth's orbit and that gives it a very nice baseline to look at the difference in directions to those stars and helps us to pin them down in three dimensions. Georgia - I see, so because Gaia knows how far it has moved, the relative amount the star has moved will give an idea of how far away it is? Ralph - I mean if you want a simple example, put your finger in front of you against a background, look at it with one eye shut, and then look at it with the other eye shut and you'll see it appear against that background in different apparent positions. And that's what we're doing except that what we're doing it with are stars which are many tens, to hundreds, to thousands of light years away. What will happen to all the data that has been collected by Gaia? Nicholas - I'm Nicolas Walton. I'm a member of the ESA Gaia science team and I'm here at the Institute of Astronomy in Cambridge. So there are seven so-called data processing centres across Europe; we have one of those here. It's one of these large, big data type activities and we've got a rack of computers in a sort of super computer setup in the Cambridge data centre and we take the data that comes to us from the European Space Agency where we photometrically calibrate and analyse that data. Once we've applied all our calibrations we send that back to ESA and it's combined with a set of data processing outputs from other centres and, eventually you get the final catalogues such as we see today. Georgia - Before we get to the actual science people will be doing using this data set - what have you been doing to this data? You say calibrate but just elaborate to me, what does that mean? Nicholas - So if a star goes across the focal plane array the starlight is detected by the charge coupled detectors and each star going across generates what could be a little spectrum or a little image that gets sent to the ground. But that's in some arbitrary units and we have to convert that into something where we can flux calibrate that data so we can turn something into a known calibrated object. So we can basically say if something was bright, if something was faint, how bright in real physical units. And we are responsible for removing a number of the artifacts in the data acquisition. So for aspects such as a scattered light or various positional movements which might affect the flux calibration. Georgia - Basically, a lot of work for a lot of people. Gaia sent down billions and billions of data points to process, and by processing things like the brightness, the distance, and even the colour, this helps work out what kind of object it was seeing. And the first lot of this data got released this week - happily coinciding with Gaia's birthday. Nicholas - Gaia itself was launched at the end of December in 2013 so, in fact, today is one thousand days exactly after the launch of Gaia. Georgia - Is it a nice feeling to sort of have the world be able to see all this data? Nicholas - Yes, so it is. It's great to see a really excellent data set, a really excellent set of data which is going to help so many people write so many decent papers, and discover so many new aspects about our galaxy, and how we are and where we're going. 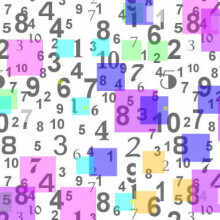 Data release one in many ways sets the scene for what's coming. It shows that Gaia works, it shows that all the processing systems work; it shows the data is very high quality; it gives us a taster catalogue of two million objects; it give us a map of a billion objects. And as we go on with further future releases, we add more richer information about each of the objects that we observe so we get information about the spectra so we can classify. We can say this star is this hot, or it's a giant, or it's a dwarf star, or it's an active star, or it's a planet, or it's near Earth object - oh we'd better look out, that sort of thing. So we've got a lot of exciting new data coming out. Georgia - So with this data release it's just been thrown out there to world. Who are you expecting is going to be using this data and what for? Nicholas - Well I think many, many, many astronomers across the world are going to be using this data be they're looking at stellar astrophysics, be they're looking at planets around nearby stars, be they're looking at our solar system, and looking at dark matter, linking to cosmologies, and so forth. So, well perhaps not the entire, but a large fraction of the astronomical community will be looking at this data. But it's also good for those interested in the public to take a look, especially when the maps of the 3D Milky Way come out. You'll get an idea of where we are in space and time. Georgia - I mean I cannot wait for someone to build a virtual reality Milky Way for me to fly around in. Is that on the cards? Nicholas - That's coming. That will be there. I think the technology will be there to fly around in your VR universe. Part 2 of George Seabroke's poem Gaia. What will Gaia do for the future of space research? We have heard some of the things scientists everywhere will be using Gaia to do - but how does this fit into the bigger picture, and why do we need a better map of our home-galaxy? Mark McCaughrean is the Senior Science Advisor at the European Space Agency - ESA. Chris - So what are you at ESA anticipating that Gaia's legacy is going to be? Mark - I think the first thing you have to realise is that this is just the first release of the data from Gaia. It was launched at the end of 2013 and here we are in 2016. It's actually just the first year's worth of data and in that big pile what we've been able to do is establish the 2D positions and the brightnesses of a billion stars but we've also already given out two million stars with their full three dimensional positions and their motions. And that's because we've been able to connect the Gaia data with data from an older mission of ours called Hipparcos that was flying at the end of the 1980s. And that is actually where a lot of the science is getting done now because that complete data set - the two million stars - that's about a factor of twenty more than ever done before. And that's just a taster because, at the end of next year, the Gaia catalogue will contain the same information for the full billion. One of the kind of strange things actually, legacy wise, I suspect some of the scientists won't want to hear this, but the ideal thing about Gaia would be that it would disappear, that it would become invisible. By which I mean is that it's so fundamental, it's so linked into every form of astronomy moving forward from today that Gaia will just underpin all of those things and effectively become part of the infrastructure. Chris - And what is it going to lead to? You've sort of eluded to it there but where do you see this leading next? Mark - Well, we have a whole range of missions in the European Space Agency - astrophysics missions, planetary missions, solar missions. So, for us, Gaia is deeply linked into all of those missions by definition because it's so fundamental by establishing the scales, the motions, the history of our Milky Way. As Gerry explained earlier on, that helps you understand galaxy evolution across cosmic distances and across cosmic time. And, in fact, a future mission of ours, which we're now building, called Euclid will in essence, do a similar sort of survey, not for stars in the Milky Way, but of galaxies themselves across the whole of the universe. And by measuring the positions and slight distortions in the shapes of those galaxies, we'll be able to understand both dark matter, but also the even more elusive dark energy. So these giant surveys gathering huge amounts of data, processing them, making the results available to everybody is becoming a very key part of modern astronomy. Chris - Now the price tag for this is something in the region of, north of, a billion euros so when it goes to completion that will have notched up a price tag of something like one euro per star or maybe a bit more since Brexit, I'm not sure. But how do you justify that sort of spend? Mark - Well, let's keep in mind that this is money coming from twenty two member states in the European Space Agency. So there's roughly five hundred million people across those countries and this mission, by the end, will have been running more than twenty years so the amount of money that's spent each year is actually very small indeed per citizen. But it's not spent in space either: it's spent on the ground, in industry, in academia. It's spent, in fact, even in schools because there's very strong outreach programmes run all across Europe to try to engage students in the science that Gaia is doing. And, from my perspective in ESA, we do some amazingly exciting things - flying through the solar system investigating the far distant reaches of the universe. But perhaps one of the most fundamental aspects of what we do is to inspire people and to inspire kids, in particular, to go into science, technology, engineering, and maths. Because those are skills we desperately need on the Earth where we have many problems, as we know, and if we can inspire kids to get involved in those kinds of subjects through missions like Gaia, then it's a win-win. We do brilliant science and we can help with many of the problems we face on the Earth. Chris - And tell us what the school kids who you're getting involved can do because this is really high level space science - what can someone in the classroom contribute? Mark - Well, not really, in a sense it's very basic. We have positions of stars and movements of stars and the data are all free and accessible. We have nice interfaces that people can actually go and download the data and play with. And we're building educational tools around that so people will be able to actually make, if you like, a movie of the Milky Way and understand how it was put together by tracing it backwards in time and tracing it forward in the future. 55:51 - Do animals exhibit placebo effects? Previous Could the Earth be a living creature? Next Do animals experience the placebo effect?